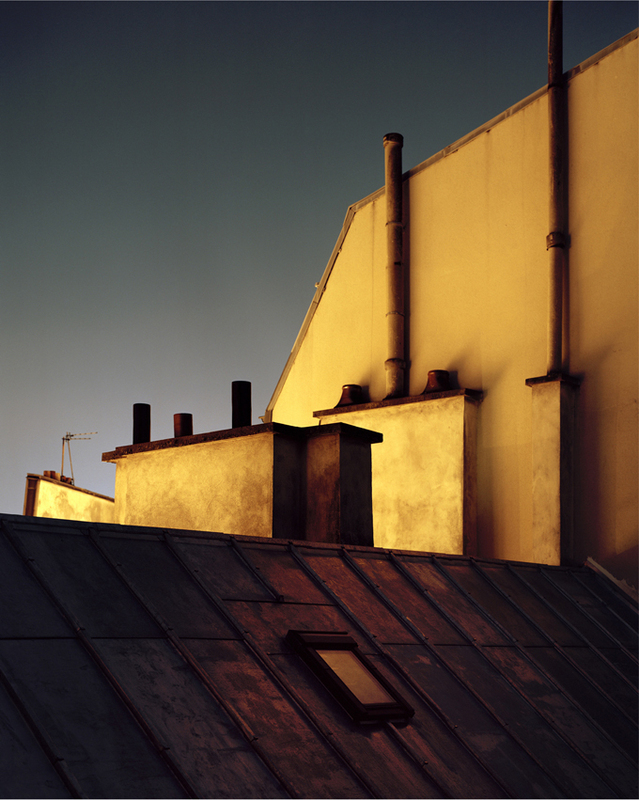 French photographer, Alain Cornu, invites us to a contemplative and exalted trip on Parisian rooftops! 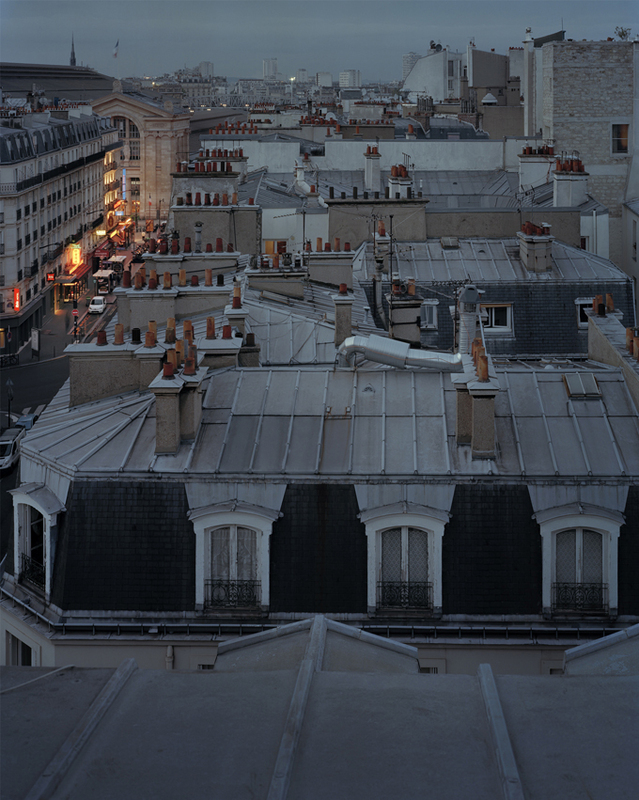 Paris wouldn't be Paris without its distinctive rooftops: the most vivid and romantic symbols in the collective memory. We all have the images of shadows and rays of light escaping from a window at night. 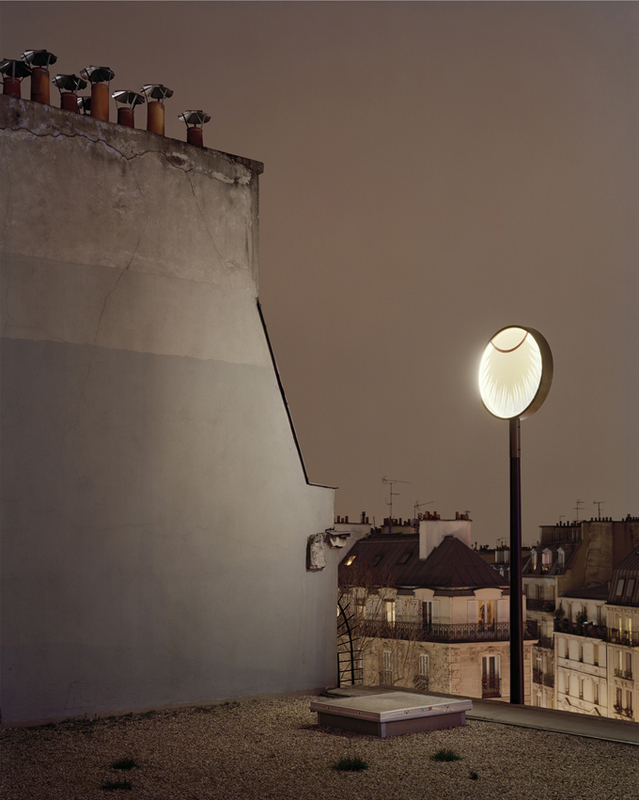 Through his photographs, Alain Cornu gives a real tribute to urban landscape. If it seems at first sight figurative, the series of pictures turns out to be a fierce example of abstraction, as the photographer follows his own emotions to tighten up the frame of its shootings to details/to give a closer attention to details. For over 7 years, almost every week, the "alpinist-photographer" climbs on a new roof and sets up its large format camera. Through long exposures under a cloudy night, he captures the theatrical side of the romantic city, letting lights from the moon and the city through the shutter. 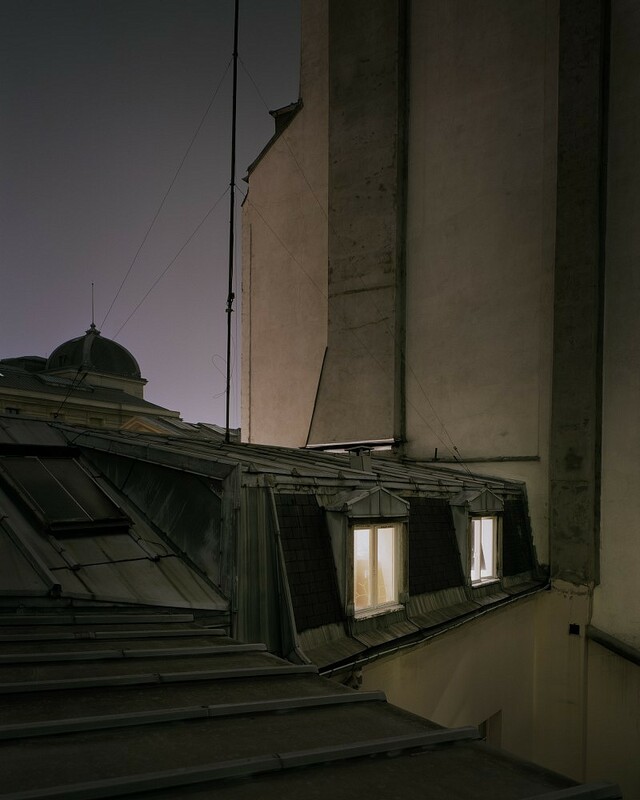 While some artists chose to paint panoramic views of the city, as did Cézanne and Van Gogh, Alain Cornu exposes the corners and hidden nooks, the skylights and alcoves we would normally overlook. "I started this series because I wanted to pay a tribute to this city I love so much, and look upon it in a different manner. 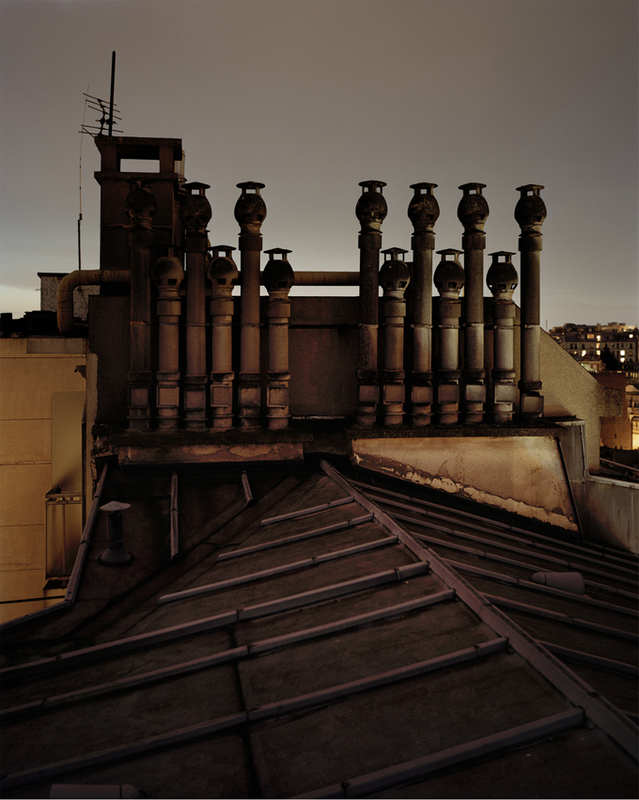 Taking photographs of the rooftops is a good way to show passers-by what's hidden, to rediscover Parisian buildings and monuments from a new perspective. It is also a mean to escape everyday matters and start witnessing instead of acting ", says the photographer. Then he explains: "I have chosen to work at nightfall, because this very moment recalls fantasy and intimacy. Every dormer, every illuminated window is a life one can imagine. Aesthetically speaking, it is the artificial light that structures the composition of my images". 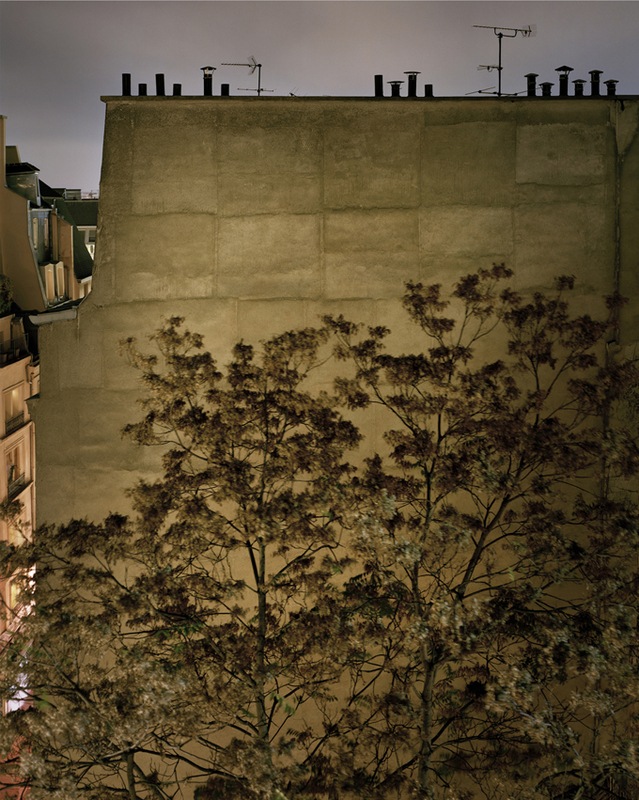 His project, born of a sleepless night that made him explore the roof of his own building, is a journey in the heart of a poetic and secret Paris. 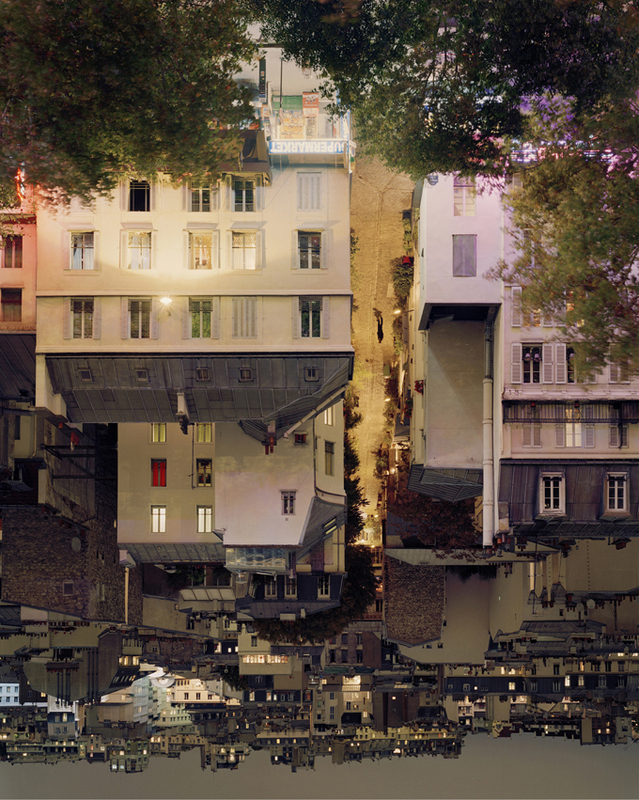 Well versed at working on landscapes, Alain Cornu knows how to turn his subjects into fascinating objects. His previous series alternately depict trees, standing stones, misty fields, windows, walls, doors and streets. This time, zinc roofs, gables and chimneys, bathed in soft light, take on a new dimension and become an inexhaustible source of inspiration. Although photography became his favorite means of expression since he graduated from the French National School of Applied Arts , Print and Digital Media (Ecole des Gobelins), the delicacy of his compositions clearly reveals his first passion for drawing and painting. Alongside the still-life projects, portraits and commissioned works he does in studio, Alain Cornu also lingers outside on landscape series, making large format images. Rewarded in 2007 by the Kodak Talent Grant and the Public Award at the Montpellier Photo Festival in 2010, exhibited at the Guangzhou Photo Biennale (China) and the Paris Museum of Decorative Arts and several French cities, his works can also be viewed in the permanent collections of the National Library of France and the French National Fund of Contemporary Arts. Thierry Bigaignon, totally seduced by Alain Cornu's personality and by the beauty and depth of his images, did not hesitate long before adding those to his gallery's line up: "With his keen eye, his tenacity and his artistic mastery, Alain Cornu offers his own definition of light, and reveals abstract and dreamlike landscapes. "A walk about Paris will provide lessons in history, beauty, and in the point of life", said Thomas Jefferson. 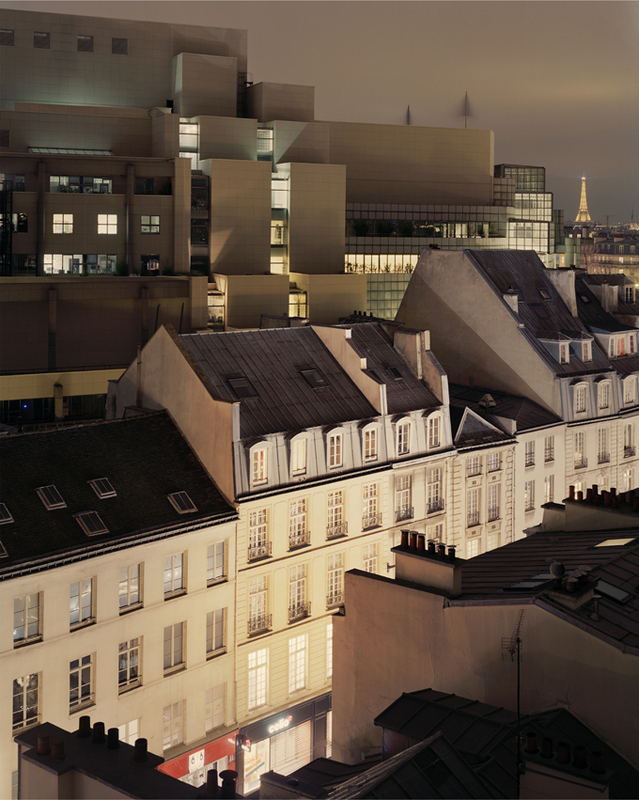 An excursion onto Alain Cornu's rooftops will no doubt complete the lessons". 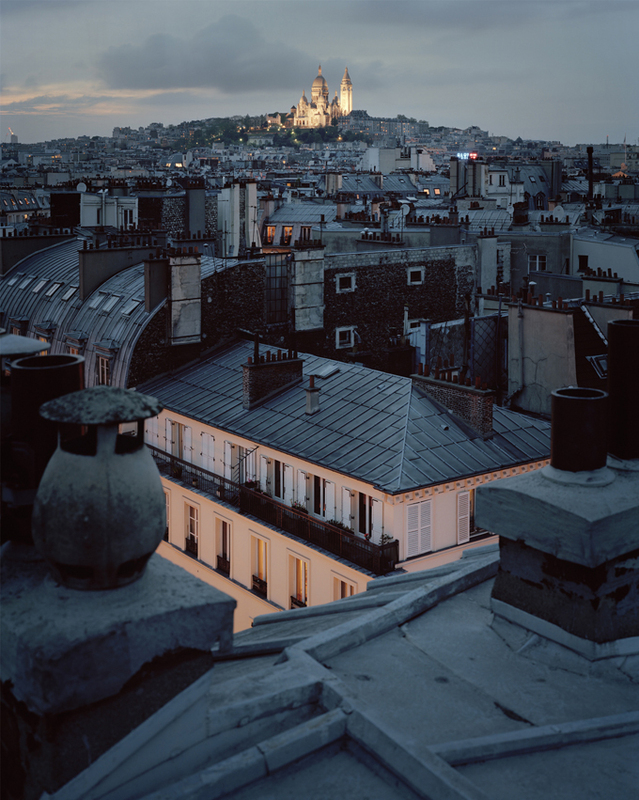 This first collaboration will echo the recent application of Paris for classification of its famous rooftops as a UNESCO World Heritage site.